The Women’s Travel Group city trips are also for 2nd time visitors; we always include trending places. Join us on one of the few remaining places by sending in a booking form. Info below. New museums for impatient art viewers: the Louis Vuitton Fondation which we visit. Situated in the major park, this Frank Gehry building will startle you with angles and views of Paris. You will catch the LV logo in fun and frivolous places + trunks hanging on the restaurant wall. Closed for many years now reopened with near perfect renovation, The Picasso Museum contains his work plus his personal art collection. When we tour the medieval area of Paris where it is, ask our guide to help you return in your free time. Experiences: Quai Branly which houses African and Asian primitive art in a Jean Nouvel miracle building, backs onto historic homes on one side and the Seine on the other. The museum often has primitive music playing and each corner will surprise you with cleverness. 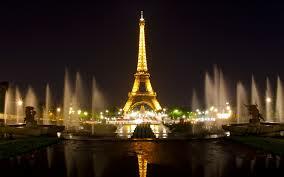 For an amazing view, ask to enter the gourmet restaurant which faces the Seine and Eiffel tower. $$$menu watch out. Finally since Holidays are also a solemn time, why not visit a few WW II sites in Paris. Musee de l’Armee has excellent coverage of the war (from the French point of view). Others: The Holocaust Museum in The Marais. The many building signs that mark resistance leaders’ murders. The Memorial to the Unknown Jews and Memorial to the Martyrs Deported. To Book one of the remaining spaces on our Paris Trip Dec 21-28, go here: www.thewomenstravelgroup.com Come alone and ask for a share. You might get a single at no extra cost if there is no share available.